US President Donald Trump’s passionate address at the National Prayer Breakfast in Washington when he pleaded to never let his fellow citizens down was outshined by his apparent misspeak. 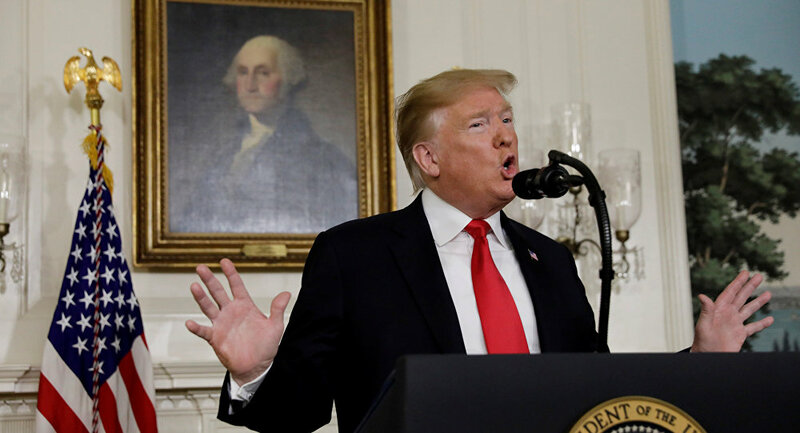 "Since the founding of our nation, many of our greatest strides – from gaining our independence to abolition of civil rights to extending the vote for women – have been led by people of faith", Trump said as he praised the role that faith has played in American society. Twitter users, including LGBT rights activists, suspected that this was a Freudian slip and that the US president had given himself away. — Zack Ford (@ZackFord) 7 февраля 2019 г. — ilyse hogue (@ilyseh) 7 февраля 2019 г. Where did y’all hide this fool’s teleprompter? — Bishop Talbert Swan (@TalbertSwan) 8 февраля 2019 г. — Harry Wilson (@HarryWilson54) 8 февраля 2019 г. — Nikki Hamilton 💜 (@bellenikita) 8 февраля 2019 г. — D.Chapman🗽 (@trinityriver299) 8 февраля 2019 г. ​Even an online dictionary used the opportunity to mock the president. — Dictionary.com (@Dictionarycom) 7 февраля 2019 г. ​Some tried to guess what he actually wanted to pay tribute to. — David Frum (@davidfrum) 7 февраля 2019 г. ​Trump spoke at the National Prayer Breakfast, a tradition going back to 1953 and President Dwight Eisenhower, for the third time. In his previous addresses, audiences have also been left puzzled when the president veered off script. In 2017, he asked participants at the breakfast to pray for better ratings for Arnold Schwarzenegger, who took over the show “The Apprentice” after Donald Trump, mocking his ratings, which “went right down the tubes”. The show was eventually cancelled.